In 2005 the Progressive Silent Film List nominated the 1925 film Rewi’s Last Stand as one of the best 100 silent films ever made. This put Rudall Hayward on the same level as Alfred Hitchcock, John Ford, Cecil B DeMille, Frank Capra and Charlie Chaplin as a great film director. Rudall Hayward was born in England in 1900 but moved with his family to New Zealand when he was five. His parents brought a movie camera and projection equipment with them to introduce colonials to the marvel of motion pictures. Within a few years Rudell’s father and uncle formed Hayward’s Picture Enterprises and opened a number of small cinemas around the Coromandel Peninsula. Young Hayward operated the projector and also acted in a series of short films to screen at their cinemas. In 1920, Hayward made his first film, a two reel comedy called The Bloke From Freeman’s Bay. It drew in crowds but his father disliked it so much he offered his son 50 pounds to destroy it! Undeterred by his father’s reaction to his first film, Rudall went on to make his first feature film, 1922’s Lady of the Cave. Three years later, he made Rewi’s Last Stand. This drama/romance was set during the Battle of Orakau, the largest of the battles fought during the Waikato wars of the 19th century. 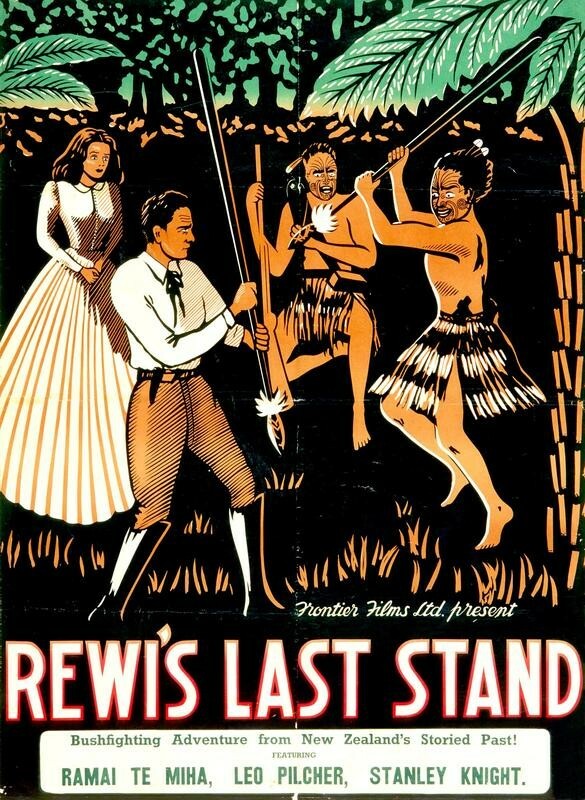 The film was well received by audiences who were fascinated by motion pictures and as mentioned at the head of this blog, Rewi’s Last Stand has been celebrated as one of the best 100 silent feature films ever made. Rudell believed the New Zealand wars could be as dramatic as any western story being made at that time in America. He also wanted to record the historic event while eye witnesses were still alive to verify facts he tried to portray in his film. 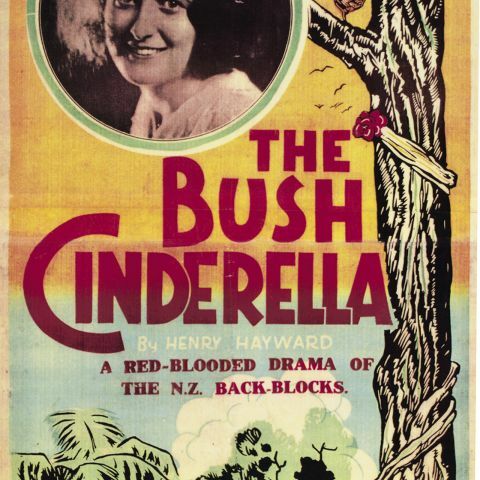 In 1927, to create maximum publicity for his 4th feature movie, Rudall released The Bush Cinderella starring Dale Austen, the reigning Miss New Zealand. This was also his last silent film. The Auckland Sun newspaper said it was: “the most outstanding production, in originality and theme.” The comedy told the story of Mary, an orphan girl who unwittingly became heiress to a fortune. It was a huge success with the public. In fact, it is arguably Rudall’s most successful film and a tinted version is still screened at film festivals and gala events today. After The Bush Cinderella, Rudall travelled the country producing 23 “Community Comedies”. These two reel films featured local people doing silly things. With titles like Suzie of Stratford, Tilly of Te Aroha and Patsy of Palmerston, it is obvious he chose young women to perform for his camera. Needless to say, they were popular with local audiences who delighted in seeing people from their own communities performing on the silver screen. Released in 1936 and telling the story about life during the depression years, Rudall’s On the Friendly Road was marketed as New Zealand’s first “talkie”. The melodrama was poorly received and has faded into history. In 1940, Rudall remade Rewi’s Last Stand with sound. This version starred his second wife and was well received in England. It was later purchased by New Zealand Broadcasting Corporation and screened on TV in 1970. Today, it doesn’t stand up well but it is valuable as an example of pioneer sound film making in New Zealand. It has to be remembered that at the time, there was no film industry in New Zealand and Rudall was really a one-man-band which made it difficult for him to match the more sophisticated sound feature films being made in Europe and the USA. During the 1950s, Rudall took a break from feature films to focus on documentaries and travel films. One of the most memorable productions from this period was The Amazing Dolphin of Opononi. This documentary made Opo the dolphin an international celebrity after it was shown in 26 countries. Rudall was called a communist sympathiser after it became known he had been to China in 1957 to met Rewi Alley and Mao Tse-tung. While there he made the documentary Inside Red China. 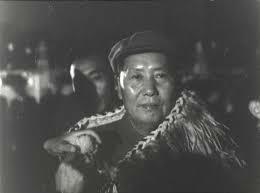 He even persuaded the Chinese communist dictator to wear a Maori cloak he had taken to China in the hope of presenting it to Mao as a sign of goodwill between New Zealand and China. Directed and produced by Rudall and his wife Ramai Hayward in 1972, To love a Maori was his last film. It aimed to challenge prejudice against Māori as it featured Tama and Penny who meet and fall in love after Tama has moved to Auckland from a small East Coast village to do a motor-mechanic apprenticeship. The film explored reactions to their relationship, and to Penny’s unplanned pregnancy. While travelling the country to promote his film, Rudall died. It was his seventh feature film. 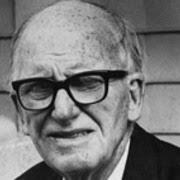 Apart from film buffs, Rudall Hayward is little known in New Zealand today. However, his pioneering efforts in bringing local stories to the screen has recently been recognized when his surviving wife was presented with a Lifetime Achievement Award in 2005 for the historic significance of the body of work she and her husband have left behind.